Looking for something to do this summer? 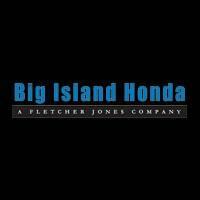 Big Island Honda Hilo suggests exploring the island of Hawaii! Just 8 miles from downtown Hilo is Kaumana Caves State Park. The park allows an up close and personal view of a lava tube that was created in 1881 after eruption of the world’s largest active volcano. This lava tube is considered one of the more amazing lava tubes in Hawaii that stretches for 25 miles. To get to the tube you descend a steep metal ladder. Be sure to bring comfortable, covered shoes, the ladder and lava tube can be slippery at times. If you are wishing to explore a bit bring a flashlight and of course a camera for some really unique photos. Visiting the Kaumana Caves is completely free and there are restrooms and picnic tables available for use. Young children may have a difficult time keeping their balance in the slippery cave and may also not enjoy the amount of darkness. Additionally, if surfing is on the agenda for this summer, our team has got you covered. Figure out which Honda cars can fit a surfboard!